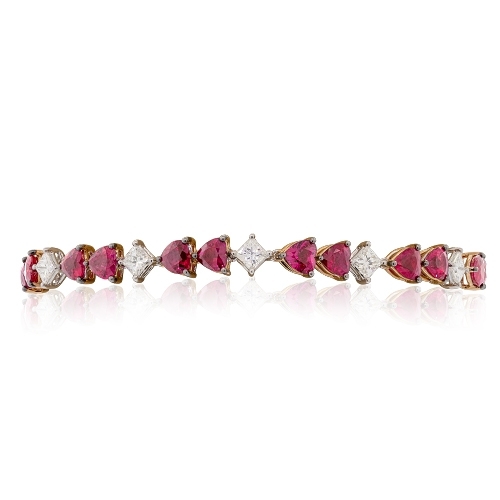 Heart shaped rubies and princess cut diamonds set into 18k white and rose gold. Diamonds approx. 2.60ct. Rubies approx. 9.68ct. Bracelet 7"